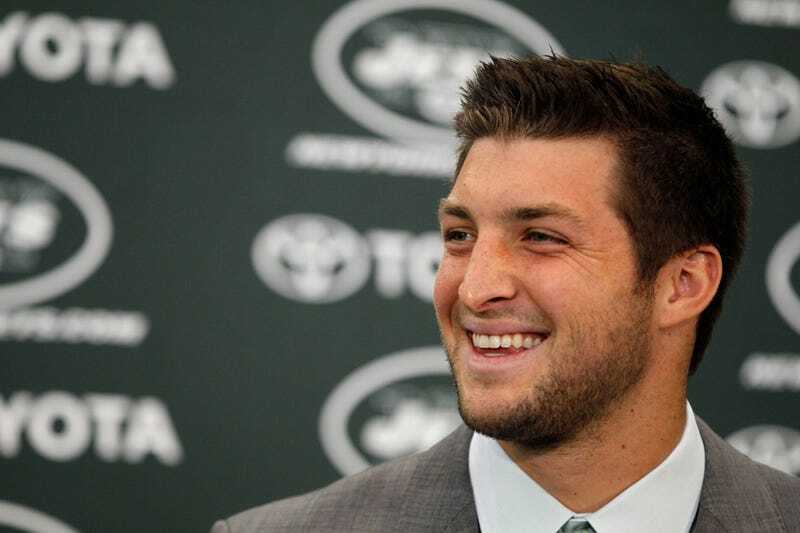 Tim Tebow was interviewed on today's Good Morning America, where, overall, he came off as a charming young man — he's excited to play for the Jets, he enjoys giving back to the community, he is not dating Dianna Agron and he gets strength from his faith. All very pleasant and innocuous things, that is until he and his mother Pam Tebow broke out the well-worn story — the one the Tebow family gathers round to tell at holidays or, you know, whenever they open their mouths — about how doctors initially suggested that Pam abort Tim while he was still in utero 25ish years ago. Clearly, Pam chose differently and here we are with Tumor T-Boz, the superstar quarterback ready to take the world by storm. No doy, it's great that Pam is happy with her choice (choice, there's that annoying word again) and that Tim is here to live life playing football (something that legitimately brings joy to many) and possibly date Taylor Swift (something that will bring joy to very few). Should she not be allowed to discuss her difficult pregnancy and how her faith helped her though it? Of course, but now the story is out there — they had Superbowl commercials putting it out there — so maybe it's time for Pam and Tim to chill out and let people, much like she did all those years ago, make up their own minds. Just as I would like her to stay out of my uterus, I would really like to stop being invited into hers.